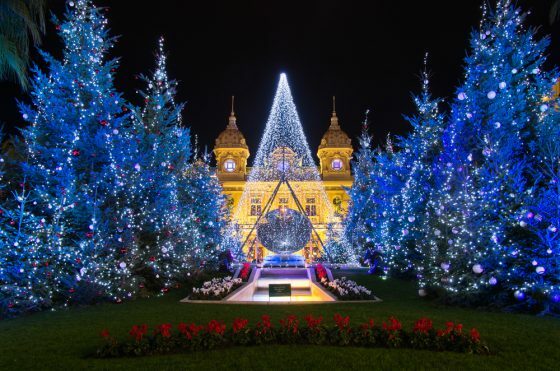 Christmas has come to Monaco and it’s spectacular! If you’re looking for Monaco Christmas activities, read on to find out where to go and what to see in the sparkling Principality. From beautiful lights to LEGO® delights, the festive season is here! 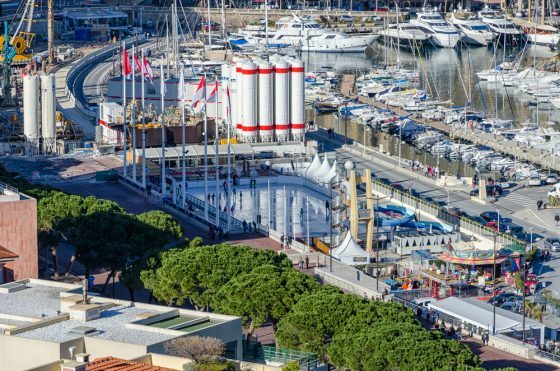 No Monaco Christmas is complete without a tour of the famous Christmas Village and market beside Port Hercules. 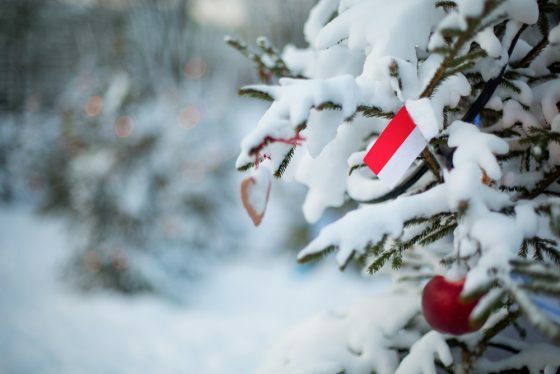 The sight of hundreds of fir trees and chalets festooned with lights against the iconic backdrop of the yacht-lined harbour is guaranteed to put visitors in a festive mood. The theme of the Monaco Christmas Market this year is New Orleans, which will be reflected in the architecture of the 25 chalets selling regional gastronomic specialities, gifts, mulled wine and other seasonal favourites. Three areas will represent the city, the suburbs and the bayou of New Orleans, while its distinctive jazz sounds can be enjoyed at concerts each Friday and Saturday. The big wheel will be back, offering visitors a swooping bird’s eye view over the Principality dressed up in its Christmas finery. Children will love the little train, the carousel and the “hook a duck” pool, while a series of workshops will enable them to let loose their creativity by making Christmas decorations. 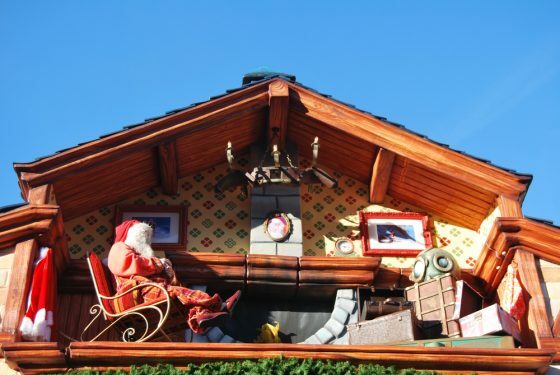 The Monaco Christmas Market begins on 7 December and ends on 6 January. It is open from 11am until 9pm from Sunday to Thursday, and from 11am until 10pm on Fridays and Saturdays. Ice-skating on the rink installed at the Stade Nautique Rainier III is a much-loved Monaco Christmas activity. The 1000 m2 ice-rink takes the place of the salt-water swimming-pool next to Port Hercules and will be open from 7 December 2018 until 3 March 2019. A small, separate rink allows young children to enjoy a first skating experience without parents having to worry about them colliding with more confident skaters. Helmets will be provided and parents can accompany kids on the rink without skates. The ice-rink opens at 11am every day. It closes at 6pm from Monday to Thursday, 11pm on Friday and Saturday and 9pm on Sunday. Climb the Rampe Major, the steps leading up to the Old Town, and follow a trail of hand-made Nativity scenes from around the world. These beautifully crafted scenes in a wide variety of styles are exhibited in front of St Nicolas Cathedral, the Prince’s Palace, the courthouse, government buildings and other places of interest. The scenes include works by artists such as Liliane Guiomar, who is known internationally for her Provence-style Nativity figures. Monte Carlo’s Casino Square is a spectacular sight at any time of year but the Christmas season takes it to another level. A forest of snow-clad fir trees appears in the square in front of the iconic Belle Epoque buildings. When night falls, the Christmas trees are illuminated, providing visitors with dazzling photo opportunities. Head up to Monaco’s Old Town on Le Rocher in the early evening to admire the decorations there. The trees on the square in front of the Prince’s palace are bedecked with lights in the national colours, red and white. Follow the narrow, picturesque streets in their festive finery to the opposite end of the town where the trees near the government building sparkle with blue and gold. The arrival of BRICKLIVE at Monaco’s Grimaldi Forum will delight fans of LEGO®. This is an opportunity for families to enthuse over themed creations built with the famous bricks and delve into their imaginations to construct their own. The themes include Christmas, Star Wars, Minecraft and Galactic adventures, but the star of the show will be a professionally built Animal Paradise. Explore, create, have fun and take plenty of colourful selfies. BRICKLIVE is open every day (except 25 December and 1 January) from 22 December to 6 January. Doors open at 10am and close at 6pm. Learn more about the eight Monaco districts. Let La Costa Properties help you decide which Monaco area is best for you. Contact us to learn more today. For more information on these properties call +377 97 97 99 00 or contact us using the form below. This entry was posted in Events in Monaco, Living in Monaco, Various by Relevance. Bookmark the permalink.